(Direction- variable)mas Decimal then a new line"
"Your program is sending too much Data at once. Try adding pauses or sending less Data." Screen shot of the program is attached. I don’t know blockly but since there has not been an answer I’ll have a go. Your code to display on the terminal is in an infinite do loop with no exit. That loop outputs data then a 50ms delay and then clear screen. Yo cannot continually output to a terminal program without reasonable delays for the terminal program tokeep up. You need a much bigger delay so try 1 second (= 1000ms). Next, you don’t want to clear the screen after you output do you? If the delay is too short you will never see the data because it will get cleared. Dr Siri - when you post BlocklyProp code, give us a Public link to the project. We can then open it, run it ourselves, check the C code it generates and help you a whole lot more. What Cluso said is correct. Eliminate the Terminal Clear Screen block since it wipes the display clear, in such a tight loop, that you won't see any data. 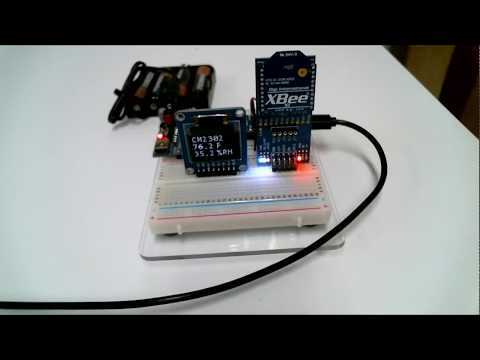 And put a small pause in there - maybe 100 ms.
Also, I notice that you are using XBee modules to send and receive data. This becomes a lot of fun! Siri, this will be helpful too.